In last century you set a fine example for us to follow. On 5 February 2006, Sahabat Rakyat released an article in commemoration of the 10th anniversary of Lim Chin Siong's departure, when Sahabat Rakyat was formed for nearly five years. While promoting democratic and human rights struggle, we wished to make use of that article to recall the sacrifice and contribution that Lim Chin Siong had made towards the national liberation and democratic revolution struggle in Malaya. We also wished to sincerely express our determination and aspiration to learn from this eminent leader. 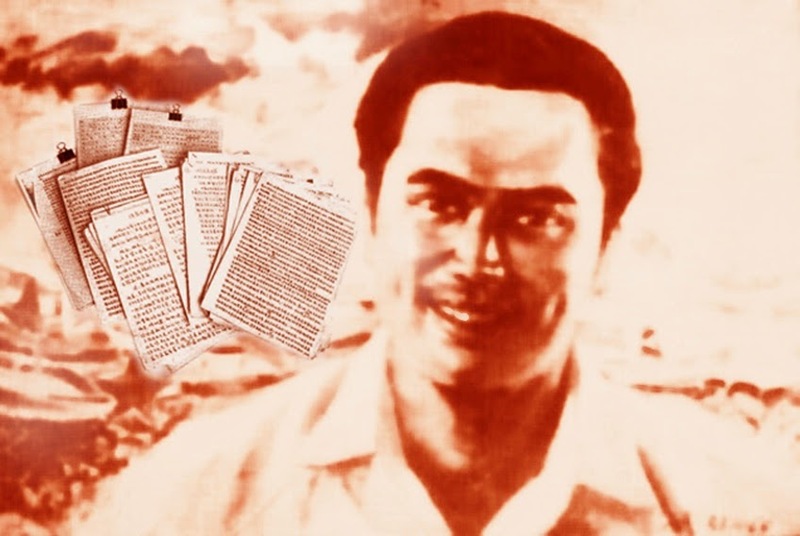 Lim Chin Siong's “posthumous manuscript” is the precious message he left about the national liberation and democratic revolution struggle that he knew and he had been through. We received an electronic copy of the Part of Lim Chin Siong's Q&A Posthumous Manuscript from a Singapore enthusiastic web user towards the end of July 2014 (This is appended in My Youth in Black and White（我的黑白青春）, published by Lim Chin Joo, the younger brother of Lim Chin Siong). We presently uploaded it to Sahabat Rakyat blog on 2 August, so that those who were involved in the anti-British colonial struggle during the 1950s and 1960s could share and ponder, and to serve as reading, reference and research material for the readers as well as scholars from various countries interested in exploring the true historical aspect of the independence struggle of the people of Singapore and Malaya. 5 February this year is the 20th anniversary of the departure of Lim Chin Siong, the eminent leader of national liberation and democratic struggle in Malaya. Lim Chin Siong endured relentless suppression and devastation by Lee Kuan Yew and the erroneous criticism and merciless blows by the left-wing aggressive leaders after the Feb 2 Incident in 1963. He was then being exiled to London, UK by Lee Kuan Yew ruling clique in 1969. We are of the view that, the best way to commemorate Lim Chin Siong, is to propagate his ideology, ideal and lessons learnt, especially the reflection and summing-up he did at his old age (upon his return to Singapore in 1979) on those important historical incidents of anti-colonialisation struggle of the people of Malaya (including Singapore) and his own experience on leading the anti-colonialisation struggle. He died of a heart attack on 5 February 1996. The Part of Lim Chin Siong's Q&A Posthumous Manuscript is the precious message he left about the national liberation and democratic revolution struggle of the people of Malaya and Singapore that he knew and he had been through. Lim Chin Siong is a political leader of the mass movement in Singapore from 1950s to early 1960s who played a prominent part in the constitutional struggle. Singapore then was an integral part of Malaya. The British colonial government implemented “divide and rule” policy, turning Singapore into the British crown colony. It developed Singapore to become the distribution centre of raw materials and primary-processed products from Malaya to the Britain and the transit port of the British industrial products that were shipped to Malaya and other Southeast Asian countries. The British government also established a huge British-army and British-mercenary based military port in Singapore to protect the interest of the British colonial rule. As such, the entire workers’ movement and the anti-colonial political movement naturally became Singapore centric. Thus it is understandable why the entire workers’ movement and the anti-colonial political movement were dominated by the Chinese ethnic community and Chinese workers (because Singapore was the most Chinese-concentrated and the most workers-concentrated city). In Lim Chin Siong and His Era (林清祥与他的时代) published by The other side of the history of Malaysia (马来西亚历史的另一面) editorial, “Lim Chin Siong, a well-known name of the people of Malaya and Singapore from mid-1950s to early 1960s. His words and deeds struck the political chord in everyone’s heart. He had made his political opponents unable to sleep and eat peacefully, and set him as an object that must be eliminated. He is a leader and a friend for hundred thousands of labouring masses, farmers and the middle lower class people as he stood by them through thick and thin. He is one of the figures who was greatly admired, respected and followed by the progressive intellectuals of various ethnic communities”. It is an undeniable fact that Lim Chin Siong was such an eminent leader of the national liberation and democratic movement in Malaya (including Singapore). In “part of the posthumous manuscript” of Lim Chin Siong that has been released, Lim shared his personal experience and self-reflections that are rarely made known to others. For example: (1) His recollection and thoughts of the London Constitutional Talks (22 Apr – 13 May) in 1956; (2) His stance on the merger of Singapore and Malaya; (3) How did he feel when Singapore declared independence and what did he think of the Singapore after independence? (4) The reason of founding Barisan Sosialis and what was Barisan Sosialis fighting for? (5) Historical facts of separation and anti-separation of Singapore and Malaya etc. His elaboration on the cognitive understanding and the summing-up of his experience of the abovementioned areas should serve as an invaluable lesson learnt for the people of Singapore and Malaysia of various ethnic communities who are continuing the democratic revolution struggle at the present phase. 2. Lim Chin Siong is a role model for the democratic revolutionists of the present phase. His selfless dedication towards the trade union movement and his staunch position in leading the political movement sets a shining example for us to follow. Lim Chin Siong was born at Telok Ayer Street, Singapore in 1933. He moved to Pontian Kechil, Johor (where he spent his childhood) with his parents at the age of 3. He studied until Standard 3 class in Pei Chun Primary School (in 1942), Pontian Kechil when Japanese invaded Malaya. The Japanese colonial rule lasted 3 years and 8 months. In 1946, he continued his study in the same primary school after it resumed classes. He completed his primary school education in 1948. He was first influenced by his uncle’s (his father's only younger brother) patriotism and then he heard and witnessed a lot of true live stories about the brutalities of the Japanese soldiers. These nurtured his hazy idea about political and national awareness since he was in primary school. After completing primary school education, Lim Chin Siong worked as an assistant for his dad's good friend running a foreign agency (洋土库). In mid-1949, he returned to Singapore, and was admitted to the Catholic High School (公教中学) in Junior Middle One Class. He then switched over to the well-known Chinese High School (华侨中学) and being admitted to Junior Middle II Class. 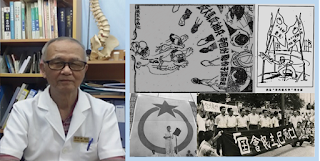 In 1951, while Lim Chin Siong was studying in Chinese High School Junior Middle III class, he took part in the boycott of the Junior Middle III Examinations. As a result, he was expelled from school by the Ministry of Education. After that, he led a wandering life for around 2 years. He hardly appeared in public. In the end of 1953, he started to dedicate himself to the activities of organising the workers in Singapore. At first he became a paid secretary in the employ of the Singapore Bus Workers' Union, Changi Branch. He was then appointed secretary of the Paya Lebar branch. After that, he became the secretary of the Malaya Spinning Workers' Union. In April 1954, Singapore Factory and Shop Worker’s Union (SFSWU) was established. Lim Chin Siong was elected the Secretary-General. The membership of SFSWU rapidly increased to 30,000 within a year under Lim’s leadership. The Union became one of the strongest unions at that time. “May 13 Singapore Chinese secondary school students applied for exemption from national service or conscription incident” and “May 12 Hock Lee Bus Company strike turned into riots incident” broke out in 1954 and 1955 respectively. As a result, from 18 September to 26 October 1956, with the cooperation from Lim Yew Hock-led puppet government, the British colonial government launched an offensive against the anti-colonialisation progressive forces in Singapore. 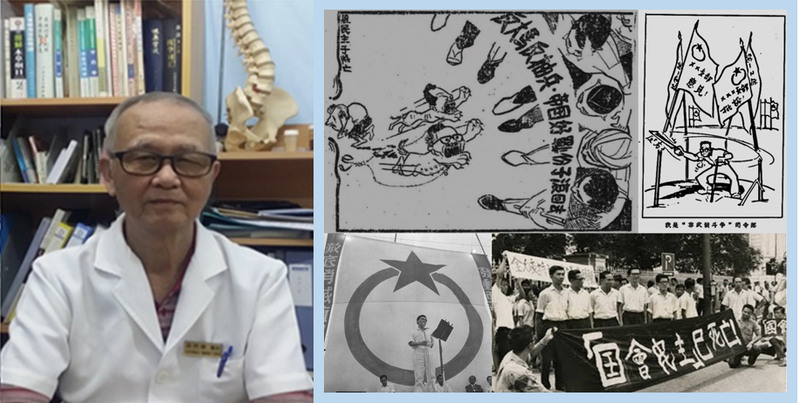 Nearly a hundred of organisations were forcefully disbanded including “SFSWU” and other progressive trade unions, farmers’ associations, culture and education organisations, Singapore Chinese Middle School Student Union and other youth organisations. Eventually these sparked the island-wide riots. Subsequently, a curfew was imposed and 219 person including Lim Chin Song and other mass leaders as well as public figures of different fields were arrested and imprisoned. From when Lim Chin Siong was arrested and put into prison, until the PAP won 43 out of 51 seats in 1959 general election and prepared to become the first self-government, under Lee Kuan Yew’s arrangement, Lim Chin Siong, feeling helpless and in deep grief, put down his signature on the declaration entitled “The End and Means of Malayan Socialism” (马来亚社会主义者的道路) that had been duly signed by Fong Swee Suan, S. Woodhull, Chan Chiaw Thor, James Puthucheary and Devan Nair (who drafted this statement). Then they walked out from the prison together. However, on 2 or 3 June, a day or two before they were released, the PAP Central Executive Committee (CEC) hastily held a congress at Hokkien Huay Kuan, to elect a new CEC. This indicated that by eliminating Lim Chin Siong and other political leaders, Lee Kuan Yew had taken full control over the PAP. Lim Kuan Yew did not release other political detainees after becoming Prime Minister. Not long after that, Lim Chin Siong, Fong Swee Suan and S. Woodhull were appointed as the so-called “political secretaries” of the “government department” who did not have real authority. That was merely to “pacify” the increasing discontentment of the masses as they noticed that the newly-elected PAP government was gradually leaning towards the right. In the bottom of Lim Chin Siong’s heart, he was absolutely clear that Lee Kuan Yew was offering him "amnesty" and "enlistment". Lee hoped to cut off Lim’s flesh-and-blood connection with the labouring masses first, and then induced him to betray the masses. Nevertheless, Lim Chin Siong stood firmly in his stance. In 1961, Lee Kuan Yew put forward the proposal of “merger of Singapore and Malaya” which echoed the “Malaysia” plan proposed by Tunku Abdul Rahman. This had aroused a lot of discussions in Malaya and Singapore especially the latter. This had also caused the emergence of the internal contradiction within PAP. Lim Chin Siong, in his capacity as the workers' leader, was forced to address in a forum organized by General Employees' Union (GEU) that: The present task of constitutional struggle, is to strive for a genuine complete internal self-government of Singapore; secondly, to create conditions that are in favor of the merger of Malaya and Singapore in the struggle to free ourselves from the shackles of colonialisation rule. Not long after that, Lim Chin Siong, Lee Siew Choh and others broke up with Lee Kuan Yew and made a fresh start. Barisan Sosialis was inaugurated on 3 September 1961. Lee Siew Choh was elected the Party President whereas Lim Chin Siong was elected the Secretary General. The goals of Barisan Sosialis were to expose Lee Kuan Yew's “deception in the so-called ‘merger through Malaysia plan’”; to unite the people of Singapore to realise complete self-government having control over internal security in the 1963 constitutional talks; to unite the peoples of Singapore, Federation of Malaya, Sarawak, North Borneo and Brunei for the realisation of the Federation or Confederation of Malaysia on the basis of genuine equality, to carry on the anti-colonial struggle to the end. Lee Kuan Yew did not care about exposing his ugly face in striving for the realisation of his political scheme. From 2 February 1963 (half a year before Singapore general election which would be held in September), he launched a mass arrest, a massive crackdown on the leftists and left-wing organisations. Government regarded this as the “Operation Cold Store” (ordinary people call it “Feb 2 Incident”). 24 candidates of the upcoming general election (including Lim Chin Siong) and nearly 100 Barisan Sosialis cadres and left-wing organisation leaders were arrested. While Lim was imprisoned, Lee Siew Choh took full control over Barisan Sosialis. Lim Chin Siong's struggle line was then replaced by an ultra-left line forcefully implemented by Lee Siew Choh, namely “boycott Parliament, take the struggle into the streets”. It is not surprising Lee Kuan Yew mentioned in his memoirs that Barisan Sosialis, under the leadership of Lee Siew Choh, had handed the constitutional arena to the PAP on a silver platter, allowing the PAP to entrench and institutionalise its dominance to this day. No doubt, this is a painful historical lesson learnt of the national liberation and democratic movement of the people of Singapore and Malaya. Lim Chin Siong endured relentless suppression and devastation by Lee Kuan Yew and the PAP ruling clique and the erroneous criticism and merciless blows by the left-wing aggressive leaders. He also suffered from the banishment to London, UK for 10 years. Despite going through all these bitter experiences, Lim Chin Siong at his old age, still did not forget to sum up and provide elaboration and explanation of his experience and understanding on the national liberation and democratic revolution of the people of Malaya and Singapore, to serve as a reference for the later generation. Lim Chin Siong is a role model for the later generations. He made his effort and contribution towards the national liberation and democratic revolution of the people of Malaya and Singapore. He did not accept the "amnesty" and "enlistment" offered by the ruling clique for his personal gain and interests. He proved himself a shining example for us all to follow. 3. Historical facts and valuable messages stated in Part of Lim Chin Siong's Q&A Posthumous Manuscript can be made an ideological weapon against the historical viewpoints of “Men in White founded Singapore” and “UMNO founded Malaysia” proclaimed by the ruling clique in Singapore and Malaysia respectively. It then further eliminates national barriers and promotes national unity. “It can be said that ‘there will be no People’s Action Party (PAP) without Malayan Democratic Union (MDU)’. “It has been said that the Malayan Democratic Union (MDU) had no alternative but to dissolve itself soon after the promulgation of the Emergency, because it boycotted the 1948 Singapore election, thereby forfeiting its right to carry on the constitutional struggle. This is a lop-sided view of the issue. We can only see a few words mentioned above in the posthumous manuscript and we are unsure whether or not there is further elaboration or other explanation in the remaining part of Lim's posthumous manuscript. Therefore, we are unable to make accurate judgement whether this is the complete understanding of Lim Chin Siong with regards to the boycotting action by MDU in the 1948 Singapore election. Lim Chin Siong might be using this incident to clarify that: Before the 1963 “February 2 Incident”, Barisan Sosialis led by Lim Chin Siong together with leaders of MDU did not agree with the leftist to “boycott 1948 Singapore election” and “renounce parliamentary struggle”. 2) As the secretariat of AMCJA-PUTERA, MDU followed the decision made by AMCJA-PUTERA to boycott the election. During the boycott, MDU still organise a series of public talks not for the purpose of contesting in the election, but to expose the hypocrisy of the elections. However, the election was still being held and “representatives” of the British were elected smoothly. The boycott was a failure. Such view of Eu Chooi Yip is in line with Lim Chin Siong’s ideology of “Barisan Sosialis must adhere to peaceful constitutional struggle” released in September 1962 before he was arrested and imprisoned. In addition to emphasizing peaceful constitutional struggle, in Part of Lim Chin Siong's posthumous manuscript, he also highlighted the important historical fact of the joint coalition of AMCJA-PUTERA submitting The People's Constitutional Proposals for Malaya to the British colonial government. They were against the Report on the Malayan Constitutional Proposals which aimed at strengthening Malay privileges, restricting citizenship for Chinese and Indians and preserving Singapore as British crown colony. AMCJA (All-Malayan Council of Joint Action)-PUTERA (Pusat Tenaga Rakyat) was jointly formed by all ethnic groups in Malaya (mainly Chinese, Malay and Indian ethnic communities) before the Emergency Ordinance was promulgated by the British colonial government in Malaya. “On 29 October 1947, about 5 million people acting in unity launched the All-Malaya Hartal struggle. The All-Malaya Hartal was launched in towns and villages throughout Malaya from the north to the south. It involved workers, students, hawkers and businessmen. The People of all ethnic groups acted in unison. By the action they evinced their determination to fight for an independent, unified, peaceful and democratic Malaya, by way of shutting down shops, workers' strikes, students' strikes, and boycotting the markets. Their concerted efforts were of profound historical significance. In fact, the fruits of struggle against foreign colonial rule and struggle for national independence of people of all ethnic groups in Malaya had been plundered by the UMNO racist clique in Malaya and the PAP clique in Singapore. Malaya has been dominated by UMNO for more than half a century since independence. UMNO representing the Malay feudal aristocracy and comprador bureaucratic capitalists carries out racial discrimination and racial oppression policy of “Malays” against “non-Malays”. People of all ethnic groups in Malaysia, particularly the working class of all ethnic groups (including Malay working class) are being brutally enslaved and exploited. They continue to create or deepen the estrangement, misunderstanding and even confrontation between different ethnic groups in order to ensure the long-term stability of their rule. At this juncture, the economy of Western countries especially the United States of America is running down the slope significantly while China is rising strongly. In addition to that, the economy of Southeast Asia countries is also developing one after another. Can Singapore sustain its economic development as before? Can Singapore maintain friendly relationship with China and its neighbouring countries especially Malaysia? These are indeed issues concerning people from both Singapore and Malaysia. Lim Chin Siong emphasized that “there will be no People's Action Party (PAP) without Malayan Democratic Union (MDU)” and the people of Malaya (including Singapore) had always been struggling for an independent, unify, peaceful and democratic Malaya before ‘Malaysia’ was forcefully put together. Aren't these valuable messages and connotations of historical facts the most powerful ideological weapon to confront the deceitful propaganda of “Men in White founded Singapore” proclaimed by the PAP ruling clique represented by Lee Kuan Yew and Lee Hsien Loong in Singapore and to confront the deceitful propaganda of “UMNO founded Malaysia” proclaimed by the UMNO racist ruling clique in Malaysia, and thereby eliminating national barriers and promoting national unity? We are of the view that the message left by Lim Chin Siong in his posthumous manuscript is a summary of his experience in the national liberation and democratic revolution movement in Malaya in 1950s and 1960s, especially in the aspect of constitutional struggle. This manuscript is the painstaking effort of Lim Chin Siong written after July 1992 (the period when Singapore Broadcasting Corporation (SBC) extended an invitation to Lim for an interview, but he did not accept the invitation after due consideration) and before he passed away on 5 February 1996 (after Lim returned to Singapore to spend his remaining years). It was a piece of work produced after a series of incidents happened on him: firstly, the long detention, persecution and devastation carried out by Lee Kuan Yew and PAP ruling clique; subsequently, the erroneous criticism and merciless blows by the aggressive left-wing leadership. He then led a miserable life while living in exile for 10 years in London. In other words, this is a piece of literature that precisely reflects the ideology of Lim Chin Siong on the national liberation and democratic revolution struggle in Malaya and Singapore during his generation. In July 2014, Lim Chin Joo, the younger brother of Lim Chin Siong, published some selected parts of Lim Chin Siong's Q&A posthumous manuscript, as Appendix of his book entitled My Youth in Black and White. We presently uploaded it to Sahabat Rakyat blog. That was a critical moment to PAP whereby it was propagating widely the preparation for the 50th anniversary of the founding of Singapore (SG50) which centres on the theme "Men in White founded Singapore" and "Lee Kuan Yew is the founding father of Singapore". While publishing the manuscript, we mentioned in the Editor’s Note that "we decided to publish Lim Chin Siong’s Posthumous Manuscript, to satisfy the aspirations of the genuine 'founding generation' of Singapore. The founding generation was oppressed and marginalised by the PAP ruling class. It was a special gift to Singaporeans in conjunction with the 49th anniversary of the founding of Singapore. Singaporeans ought to ponder carefully with profound reflection on this special occasion what Lim Chin Siong had said towards the end of his memoirs. In the last paragraph of his Posthumous Manuscript, he said that 'There will be no PAP without Malayan Democratic Union (MDU)'". It is much regretted that instead of discussing what precious message Lim Chin Siong left in his posthumous manuscript, instead of pondering why the painstaking manuscript written by Lim was not released until his departure for nearly 19 years, the attention of the public has been diverted to the copyright issue of Lim’s manuscript. 2) Individuals who are concerned and/or participate in promoting democracy and human rights movement (especially intellectuals) and the oppressed ethnic groups (especially the Indian community) in Malaysia are mostly English-speaking and reading. 2) The English rendition of an article released by Sahabat Rakyat on 5 February 2006 in commemoration of the 10th anniversary of Lim Chin Siong’s departure.